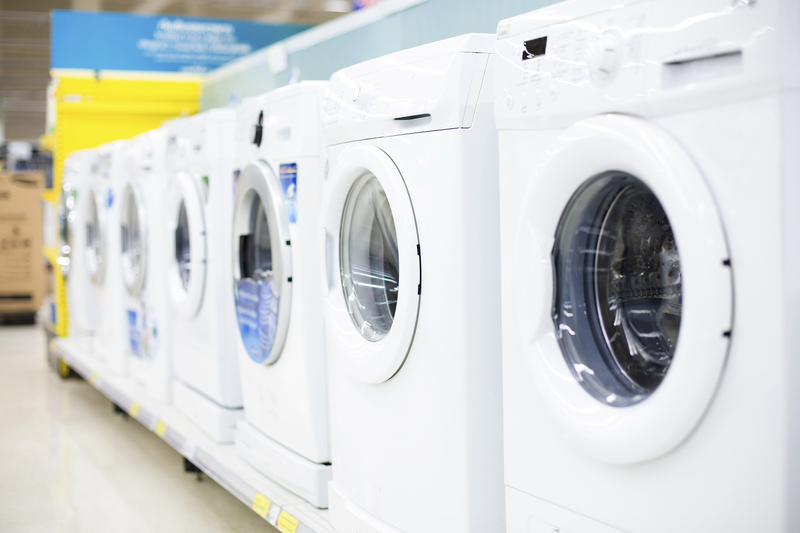 A new study supported by the Siebel Energy Institute reveals why consumers need to consider combined water and energy use when deciding which household appliances to upgrade for increased efficiency. The cost benefits of energy efficient appliances and water efficient fixtures are pretty well understood by most Americans. Switch to an energy efficient refrigerator and your electricity bill should go down. Install a low-flow toilet and your water bill should go down. But a new study supported by the Siebel Energy Institute reveals why consumers need to consider combined water and energy use when deciding which household appliances to upgrade for increased efficiency. Conducted by a team of scientists at the University of Illinois at Urbana-Champaign (UIUC), the research shows how water efficiency measures support energy savings and vice versa. For example, a clothes washer uses both water and electricity, but it also takes energy to get clean water to the washer and to sanitize the wastewater it produces. Likewise, water is used to produce energy, such as in cooling power plants and the fossil fuel extraction process. A consumer would need to take all of those factors into account to get a full picture of the cost of running that machine. The researchers made some surprising discoveries by quantifying the connection between water and energy at the residential level. Cost abatement curves produced with data about appliances illustrate how you would save more money by replacing a furnace than a clothes dryer, or by upgrading to new windows instead of getting a new refrigerator. The project, entitled “Characterizing the Performance and Cost-Effectiveness of Energy and Water Efficiency Measures in Buildings,” was led by Ashlynn Stillwell, an Assistant Professor in Civil and Environmental Engineering at UIUC, and included students Chris Chini, Kelsey Schreiber, and Zachary Barker. The study surveyed purchase, installation, and maintenance costs, as well as direct and indirect energy and water consumption and life expectancy of items from the U.S. EPA’s ENERGY STAR and WaterSense programs. A paper on the research was published in the August 8, 2016 edition of Environmental Science & Technology. Stillwell said study results can be used as a decision-making tool for consumers to help them better understand which appliances and fixtures will make the most difference in water and energy use in the home. Stillwell and Chini spoke with the Siebel Energy Institute about the project. Q: This study takes a holistic approach to examining each appliance and fixture; looking at energy and water consumption in tandem. In your opinion, what’s most valuable about analyzing the energy-water nexus? The most valuable reason to evaluate the energy-water nexus is that we get a fuller picture of the water and energy sectors together. As we strive toward a sustainable and resilient future, we can no longer consider only singular components of the system (e.g., drinking water) without considering a broader systems perspective: How much energy does it take to get water to my home, and then how much energy does it take to treat the water when it leaves my home? Without considering the interplay between these two vital resources, we leave out an important piece of the sustainability puzzle. Q: Previous analyses have examined energy and water efficiency at the household scale. What’s unique about this research? In this research, we take examining of energy and water efficiency a step further beyond in-home consumption and consider indirect resource consumption also. The indirect resource consumption for energy and water in the home takes place at the utility level. By incorporating these indirect consumptions, we create a tool that can be used for both residential consumers AND utilities. Q: The study used publicly available data about energy and water usage in American homes. What were some of the challenges you encountered when collecting or using the data? One of the biggest challenges in collecting data is the availability of indirect consumption statistics. For example, while there is a national database of energy consumption through the Energy Information Administration, there is no such database for water resources or energy-for-water. This challenge was significant for creating local applications of our research and data were obtained through open records requests or previous publications. Q: How did you determine where the energy and water use began and ended for each device? Setting the system boundary was an important part of the study, and we were only concerned with efficiency and not conservation efforts (i.e., behavioral changes). We looked one step beyond the in-home consumption of resources. For instance, the indirect resource consumption of a washing machine considered the energy required to treat the drinking water and wastewater, the natural gas required to heat the water, the water required for natural gas extraction, and the water consumed for generating electricity to run the washing machine. The models displayed direct (at the consumer level) and indirect (at the utility level) consumption for water and energy. Creating cost abatement curves, we displayed the information in a communicative format where the most cost-efficient upgrade is on the left and the least is on the right. Therefore, the rational consumer would implement upgrades in their home from left to right on the abatement curve. Q: The study was extended from analyzing national averages to specifically looking at data from Chicago, New York City and Los Angeles. What struck you as the most compelling difference between the abatement curves for these urban areas and the national average? The biggest difference between these cities was the consumption of indirect resources. Electricity and natural gas consumption at drinking water and wastewater utilities played a major role in changing the cost abatement curve for energy. Additionally, the biggest factor in variance of the cost abatement curves for water was unaccounted for water (i.e., leaks). These cities varied on either side of the national average abatement curve. Q: The research revealed that one of the most cost effective upgrades is a water heater. What type of water heater is most efficient and why? The most cost-effective water heater was the high-efficiency natural gas water heater. This water heater has a high efficiency factor and, interestingly, beat out solar water heaters on a national average. Often, solar water heaters have a less-than-efficient electric back-up heater, which can negate the benefits of the solar water heater in some applications. Q: How do you see your findings enhancing or complementing existing programs that incentivize consumers to invest in more efficient appliances? The findings of this study provide a visual representation of multiple appliances and fixtures. Some of these efficiency investments, such as a water heater or furnace, are out of sight for the homeowner and, therefore, are not high on a priority list for replacement. Our study highlights opportunities for reducing up-front costs of upgrades and highlights appliances that are often overlooked for homeowners, providing opportunities for utilities and local governments to implement incentive or rebate programs. Q: The next phase of the research will apply the energy and water analysis to a university research building. What are you most curious to learn from that aspect of the study? We’re most curious to learn how different building energy and water efficiency measures perform at the university research building scale, and how that performance relates to modeled efficiency. Understanding human behavior in buildings regarding energy and water resources remains as a challenge.